Can anyone please show me on a map where 108 Fitzalan St was in 1900 & was it nearer Burngreave end or Bridgehouses end? 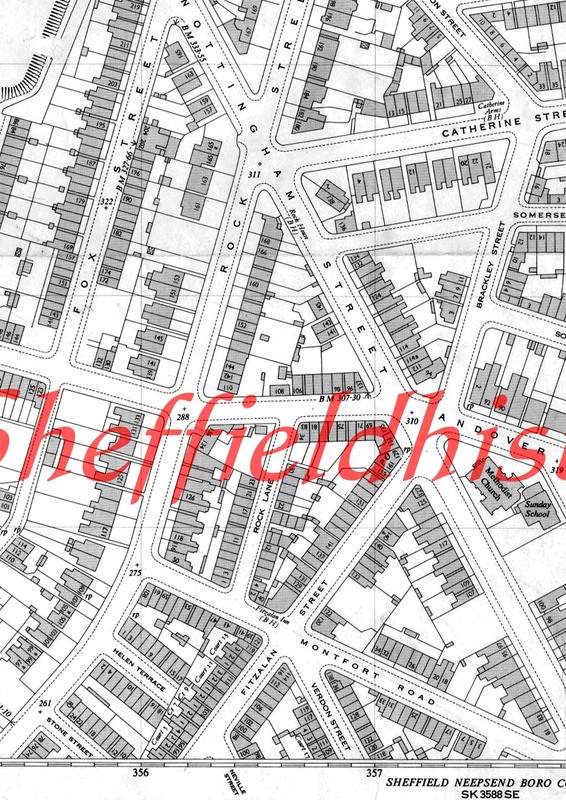 It was higher up the hill, John, nearer burngreave. Thanks Plain talker, Thats just what I want but I am having difficulty trying to print off that map; If I ask for print it seems to just copy the top part of the map not the lower part I want. Have you downloaded the full size map to print out, or are you trying to print direct from the web ? Thanks all, My fault was in trying to print it direct from teh screen; downloading file & then printing solves it. 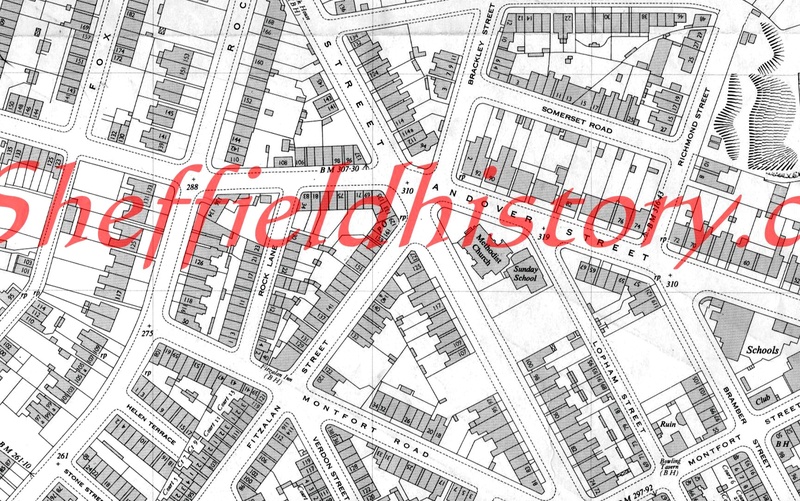 According to my family tree, in around 1890 an ancestor had a boot repair shop at 87 Fitzalan Street Sheffield. 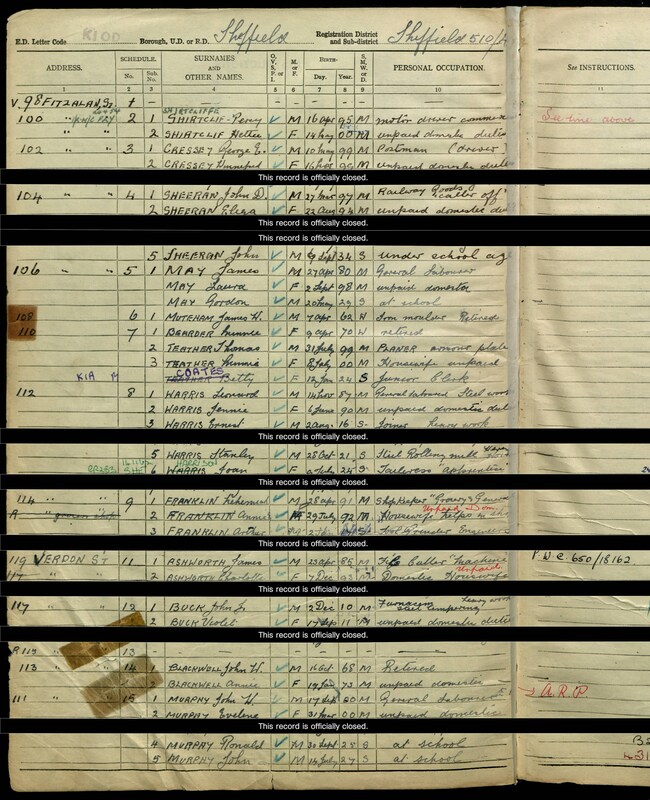 My great grandfather, James William Muteham, is listed in both 1901 and 1925 as living with his family at 108 Fitzalan St. Would like to find out more about him or the address. Can anyone help? If a professional boxer ever turns up on your doorstep with a black pomeranian dog, and is asking for lodgings, tell them to sling their hook. William Ernest Muteham (James' son) suffered a gunshot wound to his shoulder at Ypres in 1915 and as a Corporal in 3 Battalion KOYLI won the Mediterranean Medal during the Boer War. The family lived at 61 Penistone Road in 1900 when he joined up. There are some military service records available on Find My Past - do you already have these?.